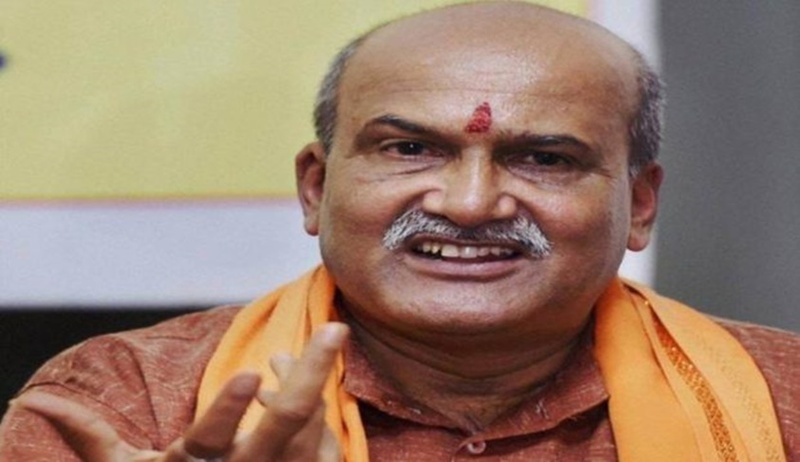 Supreme Court today rejected Rashtriya Hindu Sena chief Pramod Muthalik’s plea which alleged that the Congress in its election manifesto in Karnataka was seeking votes in the name of religion. He had sought directions to the Election Commission to delete the Congress party’s alleged appeal in its manifesto to vote on religious basis. "Referring to a community suffering from social or educational backwardness and assuring or promising steps to alleviate them is not an appeal on the ground of religion", said Justice D Y Chandrachud. "This is not the stage to interfere. 48 hours before the polling.We cannot interfere at this stage" CJI Misra told Muthalik's lawyer. When the hearing began, CJI Misra asked the counsel "who are you?" The reply was "I am a voter. I am not challenging the election but the manifesto of the Congress Party". CJI retorted: Can it be challenged in an Article 32 petition?" Muthalik's lawyer then said: "Your Lordships must intervene as today they are seeking votes by promising things for minorities... tomorrow it will be for majority ..Abhiram Singh judgment specifically bars it"
CJI then said: "Sorry this is not the stage...why are you coming now?.No we are not going to interfere at this stage". Muthalik's counsel said the Congress promises schools and hospitals for minorities, establishment of Madrassa Boards, Christian Development Board, Constitution of Waqf Property Development Corporation etc. A bench comprising Chief Justice Dipak Misra and Justices AM Khanwilkar and DY Chandrachud also said "we have made it clear in several judgments that once a notification for election has been issued, the process commences and no court can interfere till the entire election process is over"
“A political party is restrained from advancing promises in the election manifesto that flow against the principle of secularism...”, submitted The counsel for the petitioner in reference to the 2017 constitution bench judgment of the Supreme Court in Abhiram Singh v. C. D. Commachen (Dead), in so far as reliance was laid therein on the observation in S. R. Bommai’s case (1994)- “...Speaking for himself and Agarwal J., Jeevan Reddy J., held that the Constitution does not recognize or permit mixing religion and State power and that the two must be kept apart. “Saying that the social and economic status of minorities will be elevated is not an appeal on the ground of religion (for the purpose of section 123(3) of the RPA)”, noted Justice Chandrachud, adding that the majority in Abhiram Singh had held the term ‘his’ in connection to ‘religion, race, caste, community or language’ appearing in section 123(3) to mean the religion, race, caste or community of the candidate as well as the voter/ elector, for an election to be nullified on account of an appeal on the ground of religion. When the advocate relied on section 29A of the RPA, in so far as the provision requires that an association or body, seeking registration with the Election Commission as a political party, “shall bear true faith and allegiance to the Constitution of India as by law established, and to the principles of socialism, secularism and democracy, and would uphold the sovereignty, unity and integrity of India”, the CJ indicated section 100 of the Act, dealing with the grounds for declaring an election void. “In 1952, in N. P. Ponnuswami v. Returning Officer, as well as several subsequent judgments, we have held that once the notification of an election has been issued, no court may interfere in the election process”, concluded the CJ. The order said: "After hearing for some time we are not inclined to interfere in the petition.After election is complete the petitioner can take recourse to remedy provided under the Representative of People's Act". It is to be noted that on March 27, the Election Commission of India announced the schedule for election to 224 seats of the State Assembly with voting to take place on May 12 and results to be declared on May 15. The code of conduct came into effect with immediate effect. The petition said on April 27, Rahul Gandhi along with Chief Minister Siddaramaiah released the party’s manifesto in Mangaluru. The manifesto, it said, makes a number of promises with a view to woo members of Muslim and other minority communities and has made appeal, particularly to Muslims voters, to vote for the Congress as they will be benefited financially and otherwise. The petition said the party has tried to “lure voters by declaring number of beneficial schemes to be implemented on formation of Government solely on the basis of the religion prohibited by Article 15 and 27 of the Constitution of India and also violating the prohibition contained in Section 123(3) of the Representation of People Act, 1951 and the Solemn declaration made before the Election Commission of India under Section 29-A of the said Act, and also flouting and disobeying the dictum issued by seven-judge bench of Hon’ble Apex Court in case of Abhimram Singh vs. C.D. Commachen”. It is to be noted that the manifesto promises to launch number of schemes in favour of Muslims and other minority communities such as allocation of more budget for welfare programmes, considerable amount for the education of minority community, establishing Christian Development Board, developing commercially potential properties of Waqf, skill development centres for minorities, insurance scheme to cover the health and children’s education of minority auto and taxi drivers, 50 start-up schemes for minorities etc. Advocate Vishnu Jain said such announcements in the manifesto goes against the decision of seven-judge bench of the apex court in Abhiram Singh case wherein it was held that an appeal in the name of religion, race, cast, community or language is impermissible under Representation of the People Act, 1951 and would constitute a corrupt practice sufficient to annul the election in which such an appeal was made regardless whether the appeal was in the name of the candidate’s religion or religion of the election agent or that of the opponent or that of the voters. Mutalik had made a representation before the ECI early this month but said no action was taken on his complaint, forcing him to move court. The petition prayed for a direction to the Election Commission of India to exercise its powers and to ensure that the Indian National Congress deletes the appeal to vote on the religious basis. It also prayed for direction to the ECI to treat the candidates of the Congress Party as disqualified to contest the election and that their names be struck off the ballot papers. Mutalik also prayed that the ECI be told to take action against the Indian National Congress and derecognise it for violating the declaration submitted by it under Section 29-A of the Representation of the People Act,1951 by seeking votes in the name of religion.